Hurricane Irma topped the list of Google search trends for the year. Hurricanes Harvey and Maria also were among the most Googled news events. The storms may not be trending searches anymore, but in many places that got hit, recovery has barely begun. It will be years before any sort of normalcy returns – and some places will never be the same. Hurricane Harvey also cracked the top 10 list, and Hurricanes Maria and Jose were some of the most searched news events. It was a busy year for storms. But as we look at year-end news wrap ups, it’s worth remembering that although these terms are no longer being Googled as frequently, disaster recovery is still ongoing. A return to any sort of “normal” for many people in Florida and the Caribbean is still years away – and most places hit by the storms will never be the same. After thrashing the Caribbean, Irma arrived in the Florida Keys on September 10. The area took the brunt of the storm’s force in the US. I visited South Florida and the Keys eight weeks after Irma hit. In many places, people were still trying to pick up the pieces, let alone think of rebuilding. Locals told me they were spending any and all free time trying to pick up the wreckage, but debris was still piled several stories high beside the roadside. In many cases, these were the second or third round of rubble mountains that had been collected and stacked to get towed out. Boats are still washing up today. 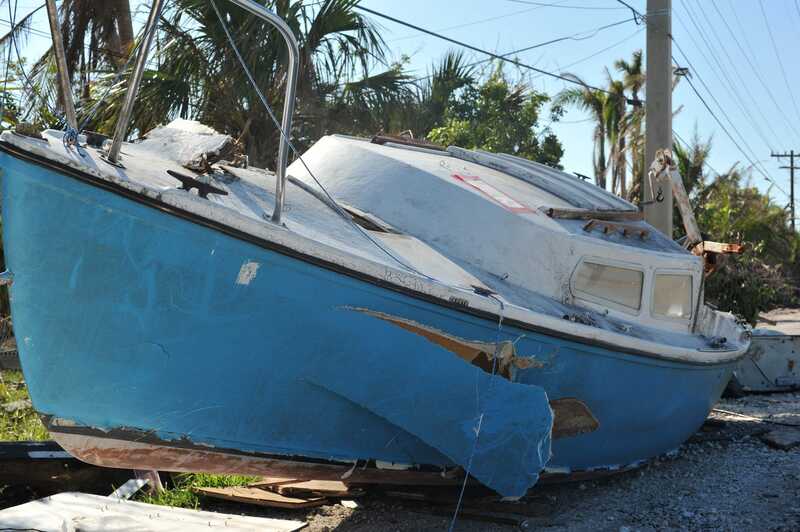 Kevin Loria/Business InsiderBoats all over the Florida Keys are still washing up after Hurricane Irma. Erich Bartels, a resident of Big Pine Key and a scientist at Mote Marine Laboratory’s research center on Summerland Key, told me that many locals were still unable to return as of five weeks ago – and in many cases, unlikely to. Bartels said he was lucky that his family only had to gut one bedroom in their house. “The community in general is just in shambles,” he said. 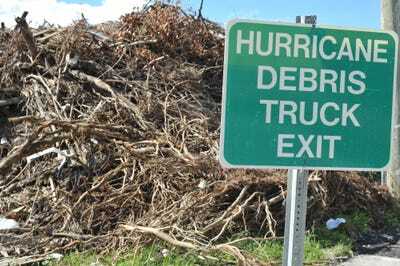 Kevin Loria/Business InsiderIn the Florida Keys, rubble was still piled high by roadsides into November. A post-Irma labour shortage has also hit the region. With a tourism-dependent economy, the Florida Keys rely on service-industry workers. 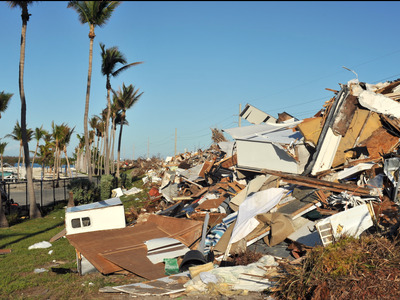 But many places where lower-income residents could afford to live got destroyed by the storm, and the Keys have little affordable housing in the first place. So many of those service industry employees haven’t come back. Effects from Irma are are still being felt on the peninsula of South Florida as well. Miami was at one point forecast to take a major hit from Irma; many residents packed up and made for safety. The storm’s slight trajectory change meant that the Miami area didn’t get hit by Irma’s worst, but it still ripped up weaker structures and tore down trees and branches all over the city. That burden now weighs on some neighbourhoods more heavily than others. Residents of Liberty City, a lower-income neighbourhood in Miami, woke up one morning several weeks after the storm to find that the city had designated a few blocks in their area as debris disposal sites. Kevin Loria/Business InsiderResidents of a Miami neighbourhood protest the disposal of hurricane debris near their homes. 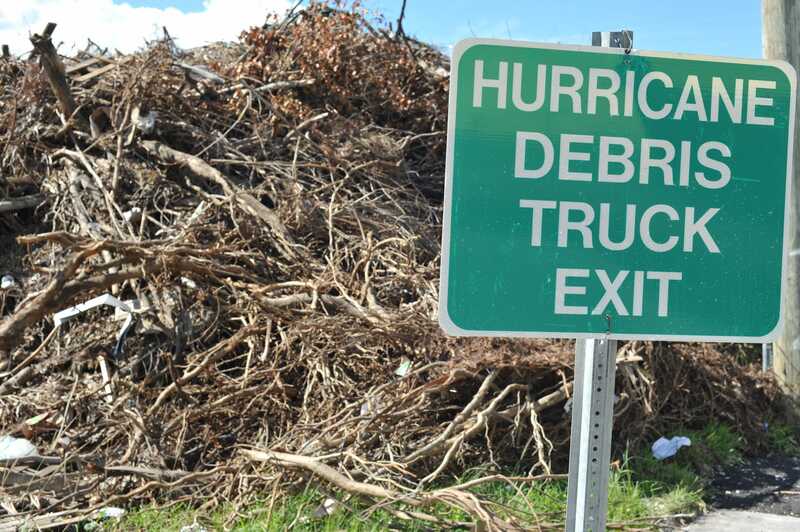 Fallen trees were mixed with mattresses, refrigerators, and other garbage collected from all over Miami, then simply dropped there. The waste filled entire city blocks in stacks roughly three stories high. Locals said they had no idea that their neighbourhood was being turned into a disposal site. 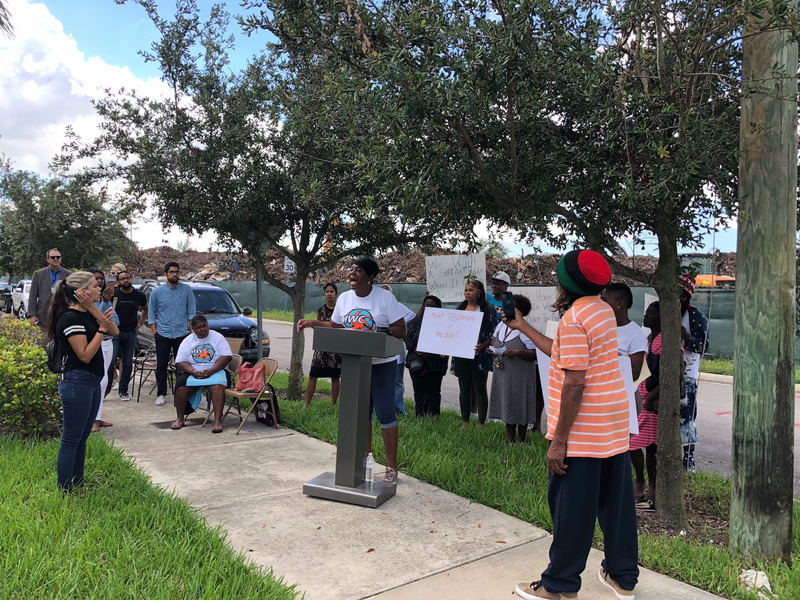 “Since the dump has been here there has been a spike of vermin – rats, snakes, possums, raccoons,” said Esi Fynn-Obeng, a community organiser with the Miami Workers Center. Birds that you’d expect to see in marshes flew back and forth, dodging bulldozers and heavy machinery. Loud machines there run from early morning until late at night, churning the trash into mulch and releasing dust into the air, a process that’s expected to continue into early 2018. “It’s becoming more difficult for me to breathe,” said resident Joanna Janvier. Kevin Loria/Business InsiderEven though Irma didn’t hit Miami directly, it still left a lot of wreckage in its path. In many ways, Irma and other hurricanes this year have provided a glimpse into how major storms could transform and eventually shrink coastal cities as seas continue to rise and hurricanes get more intense. Just recently, two new studies found that the record-setting rainfall that hit Houston during Hurricane Harvey was augmented by climate change. That suggests similar sorts of events will likely become more frequent. 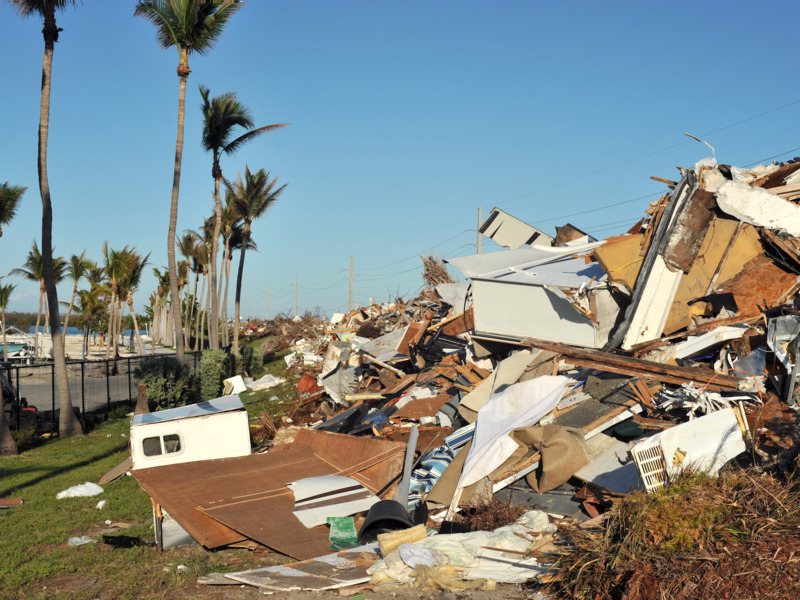 Lower-income and less powerful communities are the first to lose their housing or become unwitting debris disposal sites after such disasters. Eventually, life in those places could become untenable. “Financial risk or risk to their own person is probably going to put pressure on people to make decisions about leaving,” Nicole Hernandez-Hammer, a researcher who studies sea-level rise with the Union of Concerned Scientists, told Business Insider. Offshore from the continental US, the situation is in many cases even more dire. Irma demolished 90% of buildings on the island of Barbuda and caused approximately $US250 million worth of damage. By the end of November, almost none of the evacuees had returned. The storm also caused more than $US1.4 billion in damage on St. Martin and St. Barts before churning across the US Virgin Islands of St. Thomas and St. John. Parts of the Virgin Islands National Park are still closed and as of December 6, not even 50% of residents of these islands had power fully restored. Areas still recovering from Hurricane Maria, which slammed the Caribbean in Irma’s wake, have just as far to go – if not more. In Puerto Rico, almost 40% of the island’s 3.4 million residents still don’t have power, and hundreds of thousands of people still don’t have access to clean water. More than 200,000 residents have left the island for Florida. Maria, Harvey, and Irma may no longer be considered trending searches. But the people affected by those storms will be feeling their impacts for years.